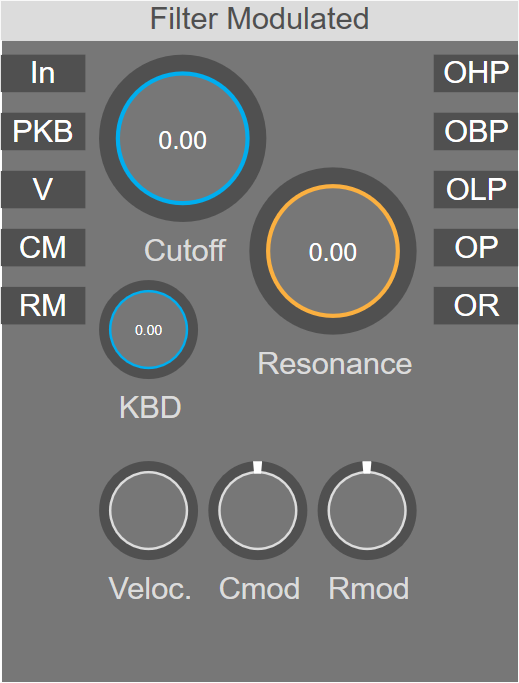 A high quality filter with individual outputs for different modes (Lowpass, Bandpass, Highpass) with modulation inputs for cutoff frequency, resonance, keyboard tracking and velocity. A multimode filter based on the 'Filter AN' design. The cutoff frequency is calculated on a logarithmic pitch scale received on the 'P' input. OP: Modulated cutoff frequency value.